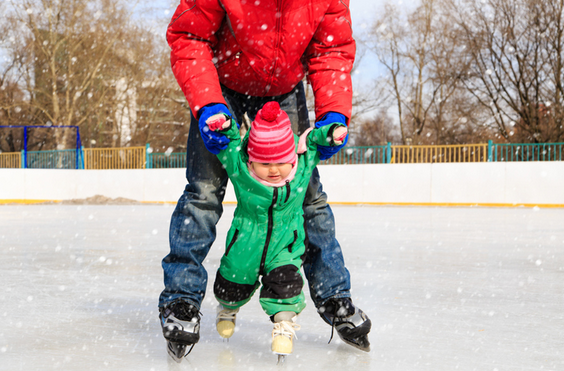 Ice skating is a popular activity for family fun in the winter, and for this we have a few choices in Northern Virginia that also offer lessons and special events. The following local outdoor ice rinks are open during the winter months only (see the next list for year-round indoor rinks). Features: Skate rentals, lessons, party options, Rock ‘n’ Skate on Friday nights and Cartoon Skate Saturday mornings, college discounts, and lots of shopping and dining nearby. Features: Skate rentals, lessons, party options, Rock ‘n’ Skate on Saturday nights and Cartoon Skate Saturday mornings, college discounts, and lots of shopping and dining nearby. Features: Skate rentals, special events, and skating and youth hockey lessons, plus lots of shopping and dining nearby. NOTE: This seems to be the only rink around here (outdoors or indoors) that has the Penguin Skating Aid, a device that your kid holds onto for balance (available first-come, first-served) to help them learn. Features: Skate rentals, special events, and lots of shopping and dining nearby. Share the post "Ice Skating"